Literary magazine featuring the best in writing, poetry, short stories, books, and publishing. Published by Lee Ann and Veronica's Publishing, an imprint of Righteous Pen Publications. 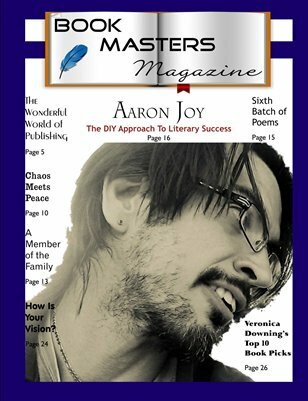 Feature interview: Aaron Joy, a Do-It-Yourself author from Portland, Maine who is author of Da Eyes: The Striptease and a series of music-themed crossword puzzle books.